Investment in Africa’s aquaculture sector could see production increase six-fold from 2.9 million metric tons to 19 million metric tons a year. Conversely, without science-based solutions, aquaculture production will stagnate and annual per capita fish consumption, which is already the lowest in the world, could drop from 10 kg to 7 kg. This is according to figures presented by WorldFish Director Gareth Johnstone at this year’s edition of AquaVision. “The African population is set to double by 2050. This is why aquaculture is very important to meet the growing food demand,” Dr. Johnstone said at the conference in Stavanger, Norway. The three-day event, which attracts more than 400 participants from around 40 countries, is organized every two years by the aquafeed companies Skretting and Nutreco. Dr. Johnstone also noted that Africa’s aquaculture industry is currently underutilized. If better exploited, it could positively impact the livelihoods and the food and nutrition security of millions of people. His comments reflect the growing acknowledgement that private sector collaboration is crucial for boosting aquaculture development in Africa. In Zambia, WorldFish has signed memorandums of understanding (MoUs) with the aquaculture-focused companies Yalelo, Aller Aqua Zambia and Horizon Aquaculture. Running for five years, the MoUs seek to strengthen the aquaculture sector through R&D efforts to bring about greater benefits for resource-poor value chain actors. This goal, which is aligned with the strategic objectives of the CGIAR Research Program on Fish Agri-Food Systems (FISH), includes novel supply and distribution options for higher productivity and lower cost fish feeds and fingerlings, fish health and disease-prevention initiatives, and enhanced access to more affordable fish. Also running for five years is a collaboration between WorldFish and Skretting Egypt. With a factory located 100 kilometers northeast of Cairo, Skretting Egypt has been a market leader in extruded fish feed (mainly tilapia feed) since 2010 and has approximately 30 percent of the market share. A joint research project on tilapia nutrition and raw feed material evaluation aims to maximize the benefits from these resources and the environmental elements supporting them, with the primary goal of supporting the aquaculture industry in Egypt. 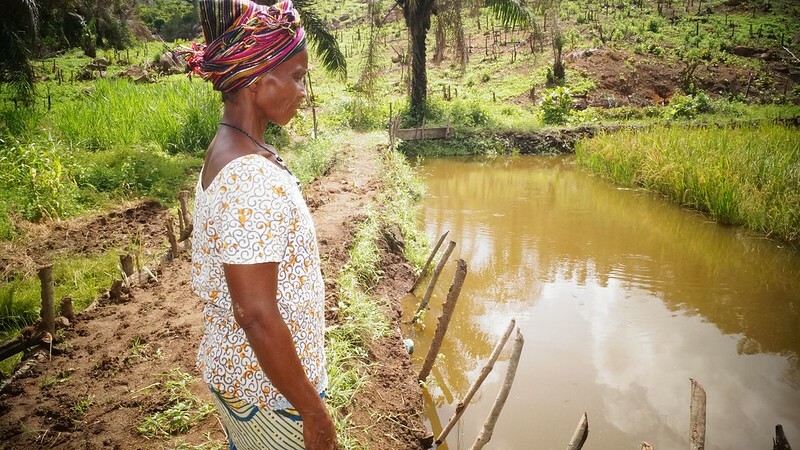 In Sierra Leone, where the aquaculture sector has just started to shift from subsistence to market-focused production, WorldFish has signed an MoU with the West Africa Rice Company (WARC) to commence production of a fish feed for poor farmers. The feed uses locally available raw materials including rice bran, which is an underutilized by-product after rice is milled for human consumption. Running for a year, the collaboration aims to develop and test a distribution channel for the feed among small-scale tilapia farmers. 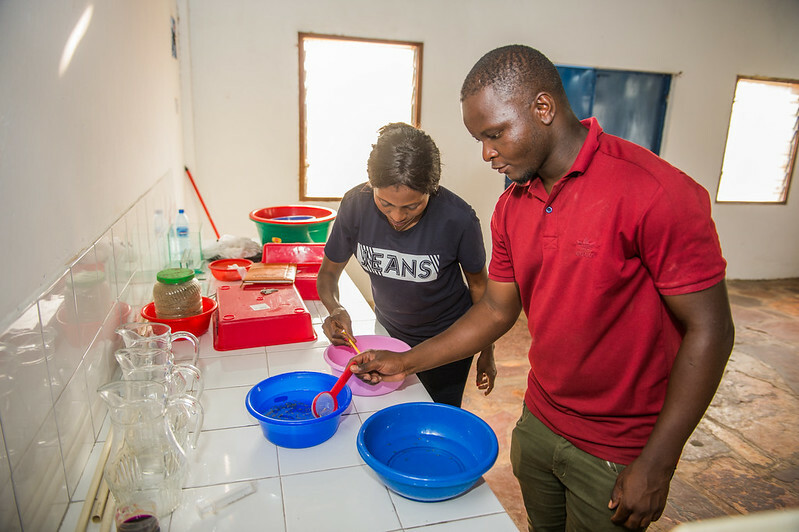 Increasing aquaculture development is also the objective of a vocational aquaculture course run by WorldFish, in cooperation with Chinhoyi University of Technology and Lake Harvest. Comprising a month of intensive, hands-on learning, the course is designed to ensure students have sufficient practical experience to work on or run a fish farm after graduation. In partnering with Chinhoyi University and other higher education institutions across the region, WorldFish is effectively augmenting the skills of new graduates to develop science-based models that can help in aquaculture R&D in the Southern African Development Community (SADC). Collaboration between public and private sector organizations will accelerate the delivery of solutions to Africa’s development challenges. These innovative partnerships should pave the way for greater WorldFish involvement with the business world, with a consequent greater impact on aquaculture, food security and livelihoods.